Boot camps are held throughout the country in which real estate agents have the opportunity to not only receive continuing education credits, but also be a part of our veteran initiatives- wherein we meet local veterans’ needs. The objective in offering the CE course is to provide a platform whereby Real Estate Professionals can be trained and equipped to handle with excellence the home purchase needs of active duty and former military clients. Also, exclusive to Fairway loan professionals is the Military Mortgage Specialist™ Designation. This Designation thoroughly trains and equips mortgage loan professionals, loan processors, closers, loan assistants, and branch managers to handle with excellence the mortgage loan needs of our active and former military clients. They fought to protect the American Dream. Let's help them live it. 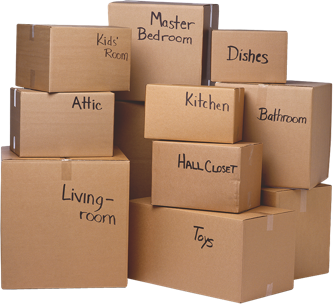 Moving is the third most stressful event in life, following death and divorce. Get back to normal: For the sake of the entire family’s happiness, try not to take too long to resume doing what your family enjoys. Frequent relocations are part of military life. Moving can be challenging and stressful to Department of Defense personnel and their families, but many service members are unaware of the benefits that are available to them. Check with a mortgage professional to find out more about what costs a VA loan can cover. Relocation can affect the professional path of a military spouse. Having a transferrable license/certification can help make a profession move-friendly. Stability forms the backbone of a child’s life. It gives them structure, strength, and consistency that support them emotionally and psychologically. Upset and unrest caused by relocation can cause unnecessary suffering for the children.